Long lines at the counters, unanswered phone calls, inefficient services, unclear information? It all belongs to the past. Roma traduzioni- Sezione Visti (Visa Section) will personally deal with all the administrative formalities concerning the issuance of Your visa. Most Countries allow people visiting for tourist purposes to stay for a maximum period which may vary from 1 to 3 months. In some countries you may extend your stay. Some countries require the extension to be made monthly, while others just every three months. The business visa is issued to those who intend to move to a foreign Country in order to establish business relations / joint venture, attend trade or technical meetings or participate in fairs. Work visas are difficult to obtain, as you first need to be offered a job from the Country of destination. Once the job offer has been approved by the local authorities, you will be able to request a work permit at the consulate in your country of origin. For this kind of service, we suggest that you apply for a Multiple-entry Visa, which will allow you to enter and leave the country several times and to extend the validity of the visa itself. Most language courses abroad do not require their students to get a specific student visa unless they intend to enroll in a higher school or university. When they are admitted by a foreign school, they must prove they will be able to pay all costs related to school enrollment or tuition and subsistence as well. This is the condition a student visa is subject to. Some countries offer working holiday visas. In this respect, especially Australia and New Zealand, Canada and United Kingdom, offer several possibilities. Specific visa for journalists: in order to apply for such visa, you must possess an approval letter or an invitation from the Ministry of Foreign Affairs’ Information Department. Transit visa: this type of visa is required if your trip includes a stopover in a country other than the country of final destination. 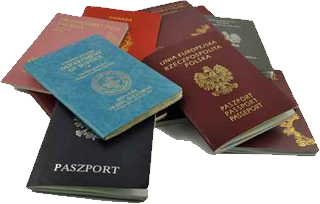 Private or visit visa: if you have friends and/or relatives able to offer you hospitality in the Country of destination. Visa for religious purposes: church officials can apply for this visa for the purpose of performing religious services in the countries of destination. Do not hesitate to contact us for further information or if you would like to ask for a free estimate of costs to obtain a visa.